Home / Blog / Toasty Celebrity Portraits! 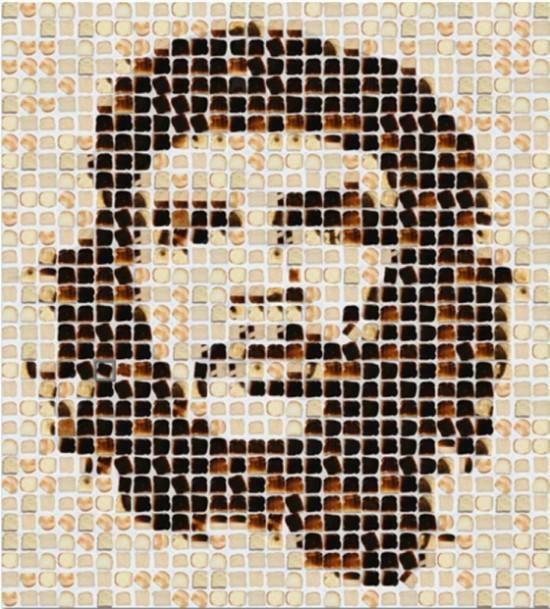 Ever seen celebrity portraits looking so good you can actually eat them? When those portraits are made with burnt toasts, you definitely can! (But don't, it's art). New Zealand artist Henry Hargreavesadds his name to the artists who have succeeded in distinguishing themselves through their arts. 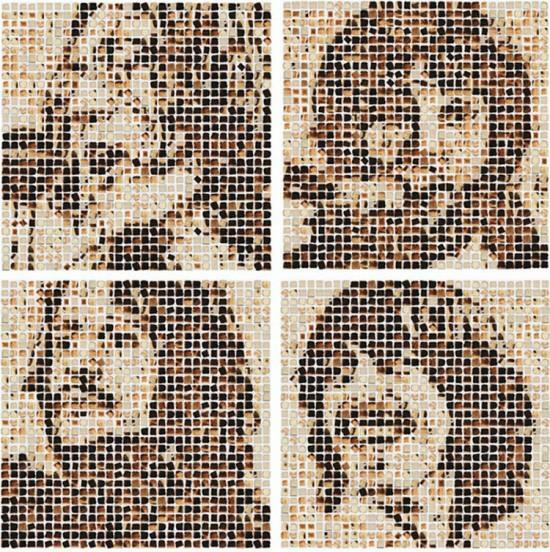 Henry is the first to create mosaic portraits out of pieces of toasts, inspired by the piece of toast that was sold during an auction, after being half-eaten by the Fab Four’s George Harrison and left behind while the Beatles toured. 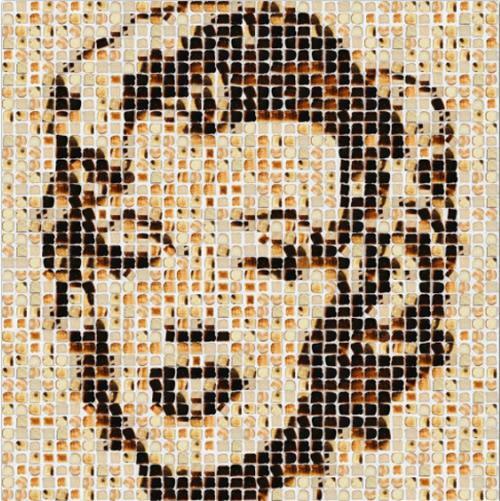 "It sold for an incredible amount at auction and gave me the idea to recreate their iconic portraits using toast”, he says. Henry meticulously burns parts of the bread using a cremebrulee torch - before laying them out on the floor of his studio in Brooklyn, New York. His portraits include Marilyn Monroe, the Queen, the Beatles,Mona Lisa, Elvis Presley, Barack Obama and Jonah Lomu.